This fixture is constructed with plain European Pear Wood frames, crown, base & trim and book matched quarter figured European Pear Wood panels. 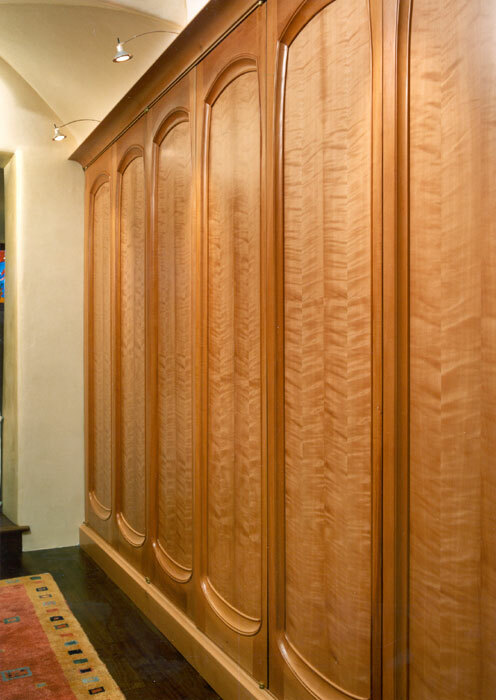 I would call the cabinet a fixed Armoire. The panel stop sits proud of the door frame and is core boxed. This is a stunning piece of work that I think most people would love to own. The cabinet lives in New Mexico.